As a public service, timeshare specialists reviews are provided by the timeshare industry experts here at Redemption and Release on a regular basis. Due to the plague of timeshare resale scams, timeshare rental frauds and timeshare donation cons, it is necessary to provide timeshare owners with the information they need to make informed decisions when looking for ways out of timeshare contracts. Never before have there been so many companies cropping up claiming to be timeshare specialists, when in fact many are simply shady scam artists looking to make a quick dollar off of unsuspecting and often desperate timeshare owners. Often these criminals disguised as timeshare specialists review public deed data that helps them target timeshare owners who are likely to be in need of a way to get out of their timeshare contracts. What makes these timeshare specialists’ schemes even more dastardly is that they often target timeshare owners who are elderly or in poor health and need to get free from timeshare financial obligations due to deteriorating health or financial troubles. In fact, many of our clients come to us after having already been scammed by so-called timeshare specialists who promised to list their timeshares for sale, and then took them for thousands of dollars while leaving them still stuck paying for their timeshares. By providing the following “Red Flag” alerts, it is our hope that we can help prevent this from happening to those who are lucky enough to have found RedemptionandRelease.com. Analyze how you heard about the company. Did they call you out of the blue and tell you they had a buyer for your timeshare or offer to list your timeshare for sale? This is the modus operandi of many timeshare scams. If you receive such a call, tell them not to call again and hang up. Did you receive a flyer or postcard in the mail inviting you to a “free seminar” or to schedule a time for a timeshare specialist to come to your residence? This is another frequently used method of targeting timeshare owners for fraudulent timeshare cancellation or resale schemes. These types of marketing techniques are commonly used by fly-by-night organizations that are looking to make a quick fortune and then disappear…with your money. Doing just a little bit of research and analysis can save you from emotional and financial stress of falling for a timeshare scam that could shatter your faith and damage your future. 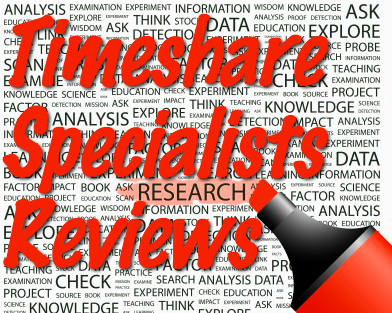 Take the time to read through all of our free help articles and timeshare specialists reviews and become educated about the current state of the timeshare industry. Only those who remain oblivious to this rash of timeshare scam strategies fall victim to them. Timeshares specialists reviews can help you avoid becoming their next mark. Choosing to work with a reputable company that prizes it’s reputation both online and offline is the best way to get rid of your timeshare obligations. Redemption and Release, LLC backs its business with not one but TWO 100% money back guarantees and a commitment to building and protecting our excellent reputation by providing the absolute best in customer service and always keeping our promises.